Posted on July 15, 2017, in 10.12, AppleScript, Automator, Developer, Sierra, Swift, Xcode and tagged Compiler, Swift, Warnings, Xcode. Bookmark the permalink. 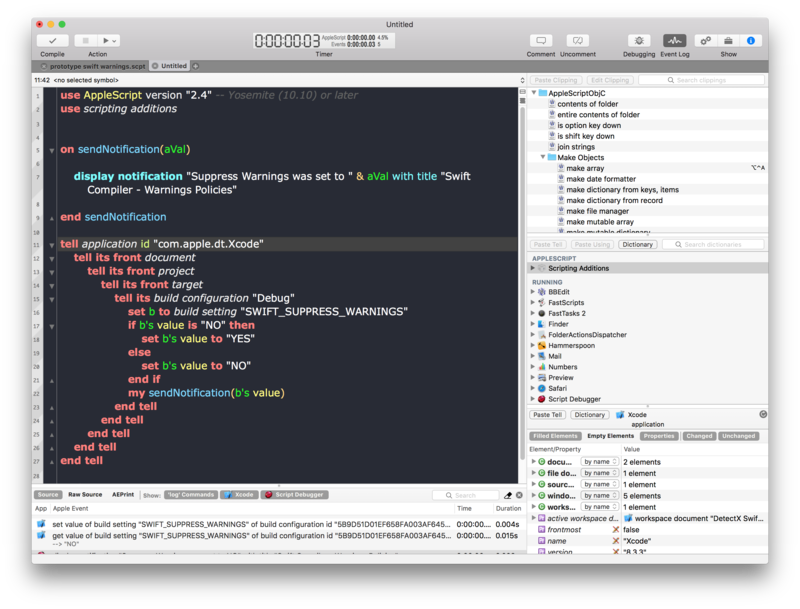 Comments Off on how to quickly toggle Swift Compiler warnings.